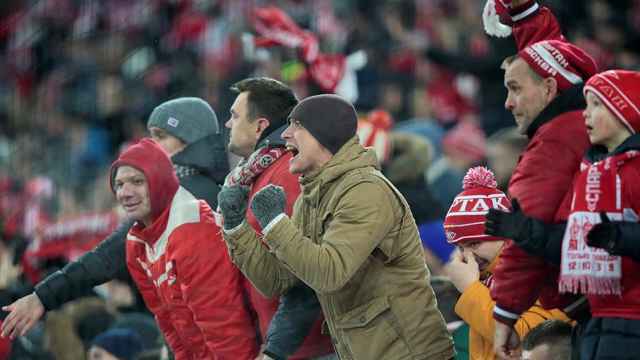 Russia's unexpected World Cup run ended on penalties after a thrilling quarterfinal against Croatia on Saturday, and the hosts left the stage having earned the admiration of fans both home and abroad for their indomitable spirit. The hosts came into the tournament as the lowest-ranked team but have defied expectations by reaching the quarterfinals, defeating 2010 world champions Spain in the round of 16. The fans at home would have possibly not expected such a show from their players, who have quickly been embraced as national heroes. Russia head coach Stanislav Cherchesov said his team were understandably disappointed with the result. "I believe that the keyword is how we leave — it's better to leave when you feel pride," Cherchesov told reporters. "We don't have any chances to win this Cup and of course we are sad. But we showed our worth." Fyodor Smolov had his first penalty saved by Danijel Subasic and, although Russia goalkeeper Igor Akinfeev saved a Mateo Kovacic kick, their fate appeared sealed when Mario Fernandes fired wide from their third attempt. Cherchesov said the hosts, who were ranked 70th by FIFA before the World Cup, should aim higher. "From the first second I put together this team, I knew where it was heading," the coach added. "We have succeeded I believe, but it's time to take a step forward." Cherchesov said Russian President Vladimir Putin had called him before the match and after. "Vladimir Putin talked to me during the day and he called me right now, and congratulated me on a very good game," Cherchesov said. "We told him we were disappointed. He said that we should keep our eyes open and take the next steps." Russian Deputy Prime Minister Vitaly Mutko, the country's former minister of sport, said Russia showed they can play well against a strong opponent. "I'm very disappointed with the result but on the other hand, I'm very proud of the guys," Mutko said in comments published by news agency RIA Novosti. "They fought. It was a real playoff match against not the weakest team in the world. We looked decent. And penalties — it's a question of luck... and fate." 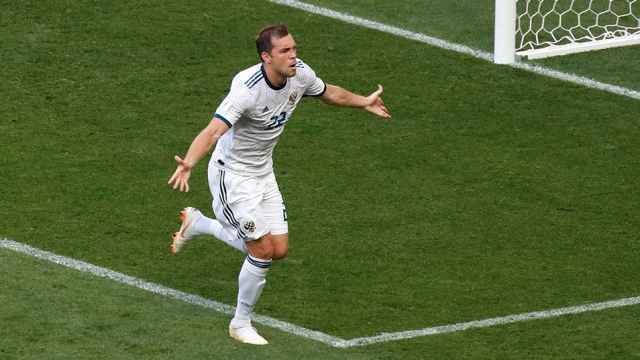 Denis Cheryshev, who scored his fourth goal of the tournament when he gave Russia the lead with a rasping left-footer from the edge of the box in the 31st minute, said the players left their all on the field. "We tried. I think the whole team gave 100 percent. But it didn't happen. I think that penalties are a lottery. We're going home," Cheryshev told Match TV. "To score four goals is good, but if the team doesn't go forward, it's meaningless. "I'm glad that I scored goals but the most important thing is to help the team. Today we didn't manage to win and I'm disappointed."